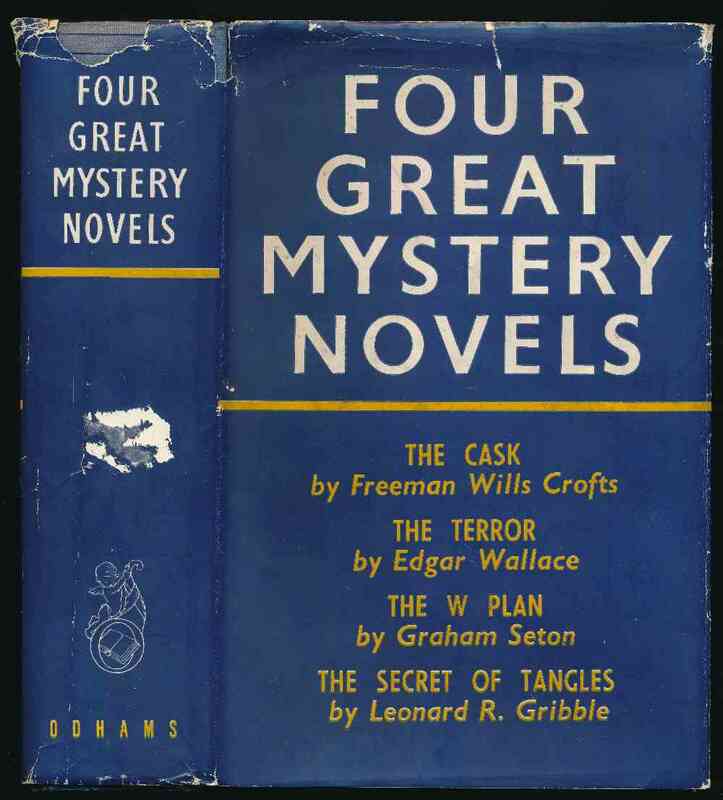 by Freeman Wills Croft ; Edgar Wallace ; Graham Seton ; Leonard R. Gribble. London : Odhams Press Limited, 1948. 704 pages : frontispiece, illustrations. A collection of four well known novels. G+ in tatty price-clipped DW with wear and tear to extremities, loss to top of spine, and surface loss to spine. Spine ends bumped and faded. Inscription to front free endpaper, and spotting to page edges.